Length of the (tropical) year in 2000 A.D.: 365 days, 5 hours, 48 minutes, 45 seconds. Time that the year has slowed since 1 A.D.: 1O seconds. Average decrease in the year due to a gradual slowing of the earth's rotation: 1/2 second per century. Lunar Month: 29 days, 12 hours, 44 minutes, 2.9 seconds. The earliest known date: 4236 B.C., the founding of the Egyptian calendar. Ancient Egyptian year: 365 1/4 days. Early Chinese year: 354 days (lunar year)with days added at intervals to keep the Chinese lunar calendar aligned with the seasons. Early Greek year: 354 days, with days added. Jewish year: 354 days, with days added. Early Roman year: 304 days, amended in 700 B.C. to 355 days. The year according to Julius Caesar (the Julian calendar): 365 1/4 days. Amount of time the old Roman calendar was misaligned with the solar year as designated by Caesar: 80 days. Total length of 46 B.C. known as the"Year of Confusion,"after adding 80 days: 445 days. The year as amended by Pope Gregory XIII (the Gregorian calendar):365 days, 5 hours, 48 minutes, 20 seconds. Date Pope Gregory reformed the calendar: 1582. Length of time the Julian calendar overestimates the solar year per year, as determined by Pope Gregory: 11 minutes, 14 seconds. Number of days Pope Gregory removed to correct the calendar's drift: 10. 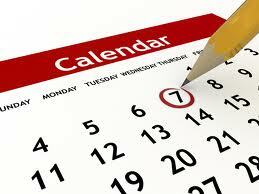 Dates Gregory eliminated by papal bull to realign his calendar with the solar year: October 5-14, 1582. Dates most Catholic countries accepted the Gregorian calendar: 1582 - 1584. Date Protestant Germany accepted the Gregorian calendar: partial acceptance in 1700, full acceptance in 1775. Date Great Britain (and the American colonies) accepted the Gregorian calendar: 1752. Length of time eliminated by the British Parliament to realign the old calendar Julian) with the Gregorian calendar: 11 days. Dates Parliament eliminated: September 3-13, 1752. Date Japan accepted the Gregorian calendar: 1873. Date Russia accepted the Gregorian calendar: 1917 (and again in 1940). Date China accepted the Gregorian calendar: 1949. Date the Eastern Orthodox Church last voted to reject the Gregorian calendar and retain the Julian calendar: 1971. Length of time the Gregorian calendar is off from the true solar year: 25.96768 seconds per year. Length of time the Gregorian calendar has become misaligned over the 414 years since Gregory's reform in 1582: 2 hours, 59 minutes, 12 seconds. Year in which the Gregorian calendar will be one day ahead of the true solar year: A.D. 4909. Year that Atomic Time replaced Earth Time as the world's official time standard: 1972. The year as measured in oscillations of atomic cesium: 290,091.200,500,000,000.